If you’ve dreamed of writing a book but weren’t sure of where to start or even if you were good enough to write a book; there’s great way to find out if you’ve got the “write stuff”. Okay all puns aside, writing a book is the easy part, the hard part is trying to sell you book. But the best part of book writing is that you don’t need to write your book before you get some money! That’s right you didn’t misread. You can honestly get paid to write a book before it’s even written. It’s easily possible to make a fast $20,000, or more. There have been instances when authors have made seven figures — over a million dollars for only twenty pages of text. It sounds incredible, but a fast seven figures is certainly possible if you have a HOT, hot idea or have had an experience that hundreds of thousands of people want to read about. The magic money in question is called an advance. It’s the money a publisher will give you prior to you writing the book. The next thing that should have come into your mind is “how do you get a publisher to do that; pay you the advance?” Well, the answer is, you write a book proposal. This is why before you write your book (especially non-fiction books) you write a proposal. A book proposal is the business plan for book writers. Okay that’s the simplified way to think of one, granted most business owners don’t like writing business plans but without one, you will fail in business. The same is said of book proposals. They focus you on your topic, help you formulate the most important things that a publisher wants to see – your marketing strategy and the bottom-line of how you plan to recoup the money the published is spending on you and to whom you are selling the book to. A book proposal functions in the same way as any business proposal does: you’re making an offer to someone you hope to do business with. It will be treated by publishers in the same way that any business investor or financial institution treats a business plan or business proposal. 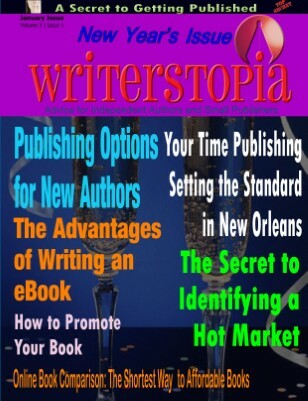 The proposal is the roadmap that helps you to not only sell your book; it helps you write your book. So before you sit down and pen one thing, sit down and create your book proposal. Good quality content material here. Absolutely nothing but the ideal. I really like it. Hi there, just became aware of your weblog by way of Google, and found that it is really informative. I’m gonna watch out for brussels. I will appreciate should you continue this in future. Lots of individuals will be benefited from your writing. Cheers! Thanks for writing. Keep me informed on brussels. Thank you. I’ve been setting up blogs now for over a decade. I try to make the sites easy to navigate and chose themes that compliment the articles I write. I hope you’ll come back and read some more. I am not very great with English but I locate this really leisurely to translate. Well I appreciate you writing. I hope you’ll continue to read the blog.